The management of corrosion in the last 10-15 years is very much front of mind for both aging and new infrastructure and has been identified as a major cost across all industries. The utilisation of past, present and future data to predict corrosion can better allow financial planning, work force planning, redundancy, inspections and even decisions on end of life. Currently, a number of technologies can be employed to sense corrosion and in conjunction with available models can give corrosion rates. In conjunction regular inspections, which may involve NDT, provide a rich data set of the structural health of an asset. This data is valuable information but may not have standardised metrics or the financial implications and as a result often gets used as a tool to identify a corrosion issue potentially ignoring the bigger picture. Using historical maintenance data, sensor outputs and inspection information along with the financial implications of repair can provide a unique management tool for current decisions and future planning. This paper will discuss the use of various information sources for the development of better asset management planning its implication on documentation, decision making and sensing requirements. Assoc. Prof. Will initially started his career as a physical chemist investigating various solar cell technologies and materials. These included dye sensitised solar cells and thin film technologies. However and invitation to a QLD ACA meeting changed this direction and he has spent the last 20 years researching and designing solutions for industry in the area of corrosion prediction and monitoring. Assoc. Prof. Will’s group has developed techniques to monitor coating breakdown and inform decisions on time to maintenance. These solutions have been employed to better understand corrosion in a variety of environments such as under insulation, atmospheric, pile wraps, military infrastructure, bridges and civil infrastructure and other areas where inspection can be difficult if not prohibited. Assoc. Prof. Will has carried on the long history of corrosion research at QUT specifically related to industry problems. He has published 111 papers in the area of materials and electrochemistry and regularly consults to over 50 companies. The corrosion work is supported through government and private industry funding and is targeted at the understanding and prevention corrosion related issues. Our group studies basic corrosion mechanisms using theoretical models to understand and predict corrosion behaviour. In house software, Symadec, has been developed to teach students from postgraduate to undergraduate about the electrochemistry of corrosion systems for a better understanding of the observed electrochemistry. This system can generate Pourbaix and Evans diagrams and fit the theoretically derived results to real data. Applied work has been directed toward the monitoring and prediction of corrosion with recent activities centred on the use of corrosion models and asset management to determine cost effective maintenance plans for defence and civil infrastructure. Recently the QUT group in partnership with others has begun the investigation of corrosion in solar thermal power plants. This relatively new area has provided many challenges dealing with environments such as molten sodium, super critical carbon dioxide and molten salts at temperatures in excess of 700°C. The presentation with cover the failure analysis and analytical analysis of epoxy coatings including liquid applied epoxies, fusion-bonded epoxies and epoxy phenolics as well as polyethylene coatings for pipelines. The effect of structure–property discussed as well as a range of techniques to guide the failure analysis and investigation of coating defects. Case studies involving coating breakdown, polymer degradation and corrosion will be presented. Dr. John Scheirs had 25 years experience in studying the composition of polymers, their structure-property relationships and their failure behaviour. His research & consulting has resulted in over 60 refereed journal articles, 6 textbooks on polymers, 12 patents, and numerous conference presentations both domestically and at an international level. He has been an expert witness in the field of polymer analysis, structure-performance properties and polymer failure of polymers, rubbers, coatings and composites to various courts and tribunals including the Federal Court of Australia, Supreme Court of Victoria, Supreme Court of NSW, District Courts, County Courts, VCAT, etc. He has consulted to over 1000 companies and organisations in the area of polymer failure and polymer failure analysis over the last 25 years. He is the Founder and Managing Director of one of the largest polymer testing laboratories in Australia (ExcelPlas) with 15 full time staff. ExcelPlas is a NATA-accredited, independent, analytical testing laboratory providing polymer testing and polymer analysis services for local and international clients. ExcelPlas is Australia’s only polymer-failure focused laboratory, with the capabilities to undertake a full range of testing and analysis of polymers and coatings. ExcelPlas has been testing and evaluating polymer products including coatings for over two decades and has earned a superior reputation as an internationally acclaimed, highest-quality testing and research facility in polymers and coatings. Dr. Scheirs undertaken forensic analysis on epoxy and epoxy-phenolic coatings for the last 15 years. His expertise covers epoxy coatings analysis, epoxy coatings testing and failure analysis of polymers and coatings. He has undertaken consulting and testing work with, for and on behalf of the following major companies with regard to protective epoxy coatings for steel structures and pipelines: Inpex (Offshore), Inpex Ichthys Project (Darwin), Chevron (Wheatstone Project), Saipem, Samsung Heavy Industries (SHI, South Korea) and Daewoo Shipbuilding & Marine Engineering (DSME, South Korea). Microbiologically influenced corrosion (MIC) refers to corrosion initiated or accelerated by microorganisms. It involves the complex interaction of electrochemical, environmental, operational, and biological factors that often result in substantial increases in corrosion rates to metals. MIC drives a worldwide market for microbial control that is worth billions of dollars annually. Although MIC is a phenomenon that has always occurred in the industry, it is still poorly understood and recognized. The advances in experimental methods and the development of high performance bioinformatic tools have substantially improved our understanding of microbial communities associated with oilfield systems and corrosion. However, careful interpretations are required for the vast amount of data modern sequencing technology can produce. This lecture will introduce basic principles of biofilm-steel interactions and MIC and a summary of the latest technical and scientific advances in the field, including an overview of current and evolving technologies for MIC assessment and improved methods for assessment of biocide efficiency for MIC control. A few examples of rigorous MIC failure investigations will also be presented which highlight the importance of interdisciplinary research in diagnosing MIC. Nonetheless, translating scientific observations into practical applications and decision making is an ongoing challenge in the industry that urges close collaboration between industry and academic researches. Dr. Laura Machuca leads research and industry projects on MIC at the Curtin Corrosion Centre (Curtin University). She is an environmental microbiologist and a corrosion specialist whose research and teaching activities focus on the interaction of microbes with metals and the role of microbes in deterioration processes particularly, those revelant to the oil & gas and marine industries. Laura completed a PhD in 2013 on MIC of corrosion resistance alloys in seawater, a joint project between Curtin, CSIRO and Chevron. Since then, she has developed research collaboration with industry groups including Woodside Energy Ltd, Inpex and Chevron, and has established a MIC research team including 6 PhD students working on industry corrosion problems and fundamental research. Furthermore, her linkages with world leaders in corrosion and microbial ecology provide a focal point for collaborations that are driving the advancement of MIC research capabilities in Australia. In particular, Dr. Machuca’s team are devoted to applying and adapting the latest molecular methods for the diagnosis and field monitoring of MIC. She has recently expanded her research to study the microorganisms inhabiting the deep sea and their interaction with iron-hulled structures and with submerged infrastructure under cathodic protection. Dr. Machuca is currently a chief investigator in a multi-disciplinary collaborative project funded through the Australian Research Council. She has received a PhD Chancellor’s commendation, Best Review Paper Award, Best Research Paper Award, several international travel awards and was nominated for the Woodside Early Career Scientist of the year award in 2016. Laura has received commendation from industry for her research which has resulted in cost savings estimated at >$20M and implementation of new practices and procedures for preservation of pressure equipment and piping systems. The circular economy is a philosophy to help reduce the impact on the environment whilst still managing to carry on our full and demanding lives with little compromise. Much of this philosophy is the unwritten principle behind anti-corrosion industry, keeping facilities and steel and concrete structures in good condition and operational. This paper explores how a paint producer, users of coatings and their clients can introduce such a philosophy without significant cost even potentially savings, improving our lives and our image as companies. Miles Buckhurst studied Polymer and Paint Chemistry at London University. Miles started his working life as a development Chemist at ICI Paints. Looking for more technical challenges on the use of paint and coatings, Miles moved to Jotun in London as technical support for the UK operation. 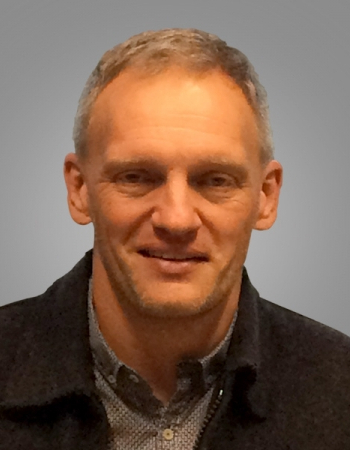 In 1995 he moved to Norway to work in the Cathodic Protection division of Jotun and in 1998 became Global Technical Sales Support Manager in Jotun’s Head Office in Sandefjord, Norway. From that point Miles moved into Marketing and Product management and since 2010 has been the Global Concept Director – HPI. In Miles’ 30 year career he has been a regular contributor to NACE, PSPC, IRPC and other industry conferences as well as being published in many industry technical journals. The P F Thompson Lecture in honour of Australia’s pioneer in corrosion research and education will touch on important aspects in the work and life of Percival Faraday Thompson (1885-1951). The lecture will cover a chronological overview of Brian Kinsella’s work on corrosion inhibitors in oil and gas production. In petroleum production, the use of carbon steel with inhibition is still considered one of the most cost-effective options, particularly compared to using corrosion resistant alloys such as stainless steels. Despite CO2 corrosion presenting a hazard to petroleum producers for over 100 years the mechanism still remains a controversial topic. The mechanism of corrosion inhibitors also contains gaps which need exploring, despite formulations developed which can effectively reduce baseline corrosion rates of >20 mm/y to <0.1 mm/y. Contentious issues surrounding the mechanism of CO2 corrosion will be presented together with technological developments which have helped to understand the function of corrosion inhibitor molecules. Historical features emanating from research on corrosion inhibitors associated with former PhD students, staff and colleagues will be presented. These include the early work of Professor Mike Yong-Jun Tan (1995-2000, inventor of the wire beam electrode), Dr Will Durnie (2002-2005, structural activity relationship of surfactant molecules), Dr Douglas John (2002-2006, corrosion inhibitor performance under high flow conditions), Shandelle Bosenberg (2006-2009, imaging surfactant molecules on mica), Dr You Xiong (2008-2011 structural mechanical properties of inhibitor films) and Dr Katerina Lepkova (2010-2018). The research by Katerina involves sophisticated surface measurement techniques to determine mechanism of adsorption and structural mechanical properties of inhibitor films on a corroding carbon-steel surface. Without doubt, the most important breakthrough in technology has been the development and application of atomic force microscopy (AFM) because for the first time the interface between adsorbed inhibitor molecules and a steel surface can be investigated in situ at the atomic level. In addition, film thickness and the forces to penetrate an inhibitor film and remove molecules from the surface can be investigated concurrently. Brian received his undergraduate (1971) and graduate (1977) degrees in Applied Chemistry from Curtin University. His early career was in the field of electroanalytical chemistry. He was the Distinguished Visiting Scientist, National Research Council of Canada in Ottawa (1987-1988) where his work was centred on ultra-trace analysis of heavy metals in seawater using anodic stripping voltammetry. Soon after returning to Perth he moved into corrosion science and has worked in the area of corrosion in oil and gas production for over 30 years. He founded and directed the Western Australian Corrosion Research Group (WACRG) at Curtin University (1987-2007) which has evolved into the present Curtin Corrosion Centre. The Centre is widely recognised for its efficient and effective services to industry. Brian was instrumental negotiating with Woodside and Chevron to establish the inaugural Chevron, Woodside Chair in Corrosion in 2007. He retired from Curtin to take up the prestigious position of Stocker Visiting Professor, Ohio University (2008-2011), where he worked at the Institute for Corrosion and Multiphase Technology, mentoring graduate students and developing new methods to study the mechanical properties of corrosion inhibitor films. He was invited to return to Curtin in October 2013, where he now directs the applied research and testing for industry and works closely with the senior research staff. His main areas of interest are internal pipeline corrosion, scale/corrosion inhibitors and electrochemical techniques where he has authored and co-authored over 100 journal publications and over 300 confidential reports for industry.